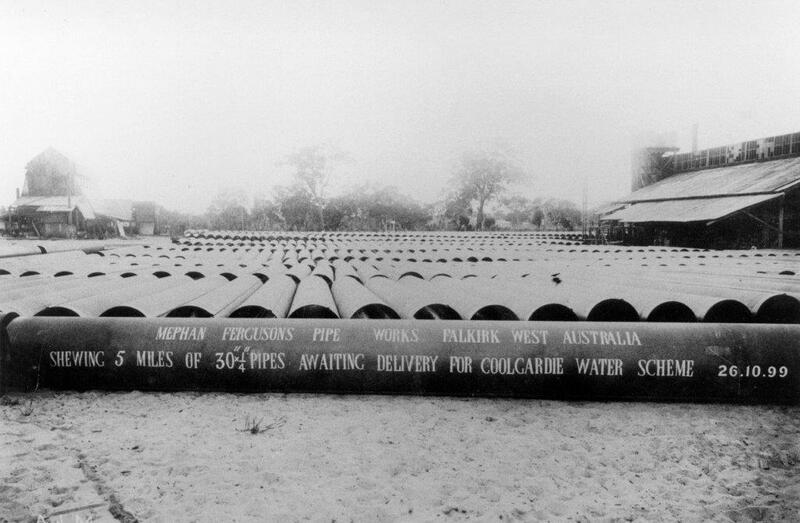 The pipes used in the Coolgardie Water Supply Scheme were an innovative Australian design and, more than 100 years after the pipeline was completed, a myth about wooden pipes persists. A Melbourne engineer was inspired to make the locking bar pipes when he opened his desk drawer. But how to join these revolutionary pipes and make them watertight? That’s where the somewhat infamous caulking machine that led to accusations of corruption and incompetence had a part to play. Battye Library. Pipes waiting delivery.